Hi friends! If you haven’t been part of our trainings or classes, you may not know that a big part of what we’re all about at Commonplace is education. Collectively, our team has a considerable number of years of experience in different areas of coffee, and we’re always looking for new ways to share that knowledge with you. Our goal is to provide you with a deeper and more meaningful relationship with your coffee and your coffee people. That being said, we thought we’d tell you a little bit about one of the most central aspects of our whole operation and how it impacts your coffee choices. It has happened to almost all of us here. You head over to your local coffee shop, excited to pick up a bag of a coffee you’ve really been enjoying, only to hear your barista tell you that they aren’t getting it in anymore. You may tell her, “I love that coffee!” only to have your concerns met by the gentle rejoinder of “it’s out of season,” or perhaps “we ran out for the year.” What is the meaning of all this?! Well friends, like all other plants, coffee has a growing season. 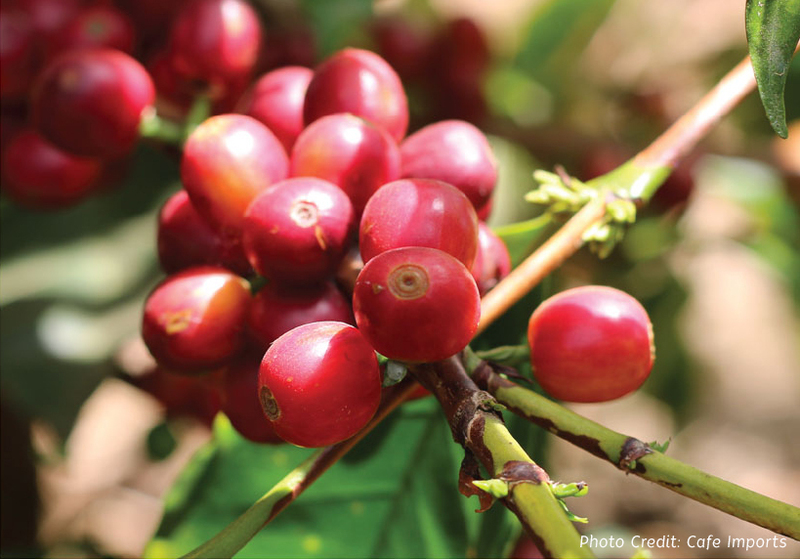 Like flowers in spring, berries in summer, and apples in fall, coffee trees are subject to the dictates of weather. Have you ever noticed that when fruit is on sale, it tastes the best (and not just because you got a great deal)? Following the laws of supply and demand, when there are lots of raspberries harvested locally or in the USA, they need to be sold, so the price goes down. In the winter, however, raspberries grow on the other side of the equator and have many more miles to travel before they can get to your local grocery store, which means they end up costing a lot more this time of year. You may have also noticed that raspberries harvested closer to you taste a lot better than they do if they’ve come all the way from somewhere like Chile. Freshness matters! Coffee is somewhat unique in its biological family (Rubiaceae, for those keeping track). Rather than dispersing dry seeds, it self-pollinates and flowers, producing a coffee cherry. These cherries are just like a Bing or Rainier cherry; you can pick them off the tree and eat them, and like other fruits, there is a point at which they are properly ripe. We can really go down the rabbit hole here and talk about sugar content and chemistry, but what we need to know for our purposes is that coffee cherries should be harvested, by hand, at their peak ripeness in order to get the best flavor into your cup of coffee. Once processed, the coffee starts to age and flavors begin to fall off, which means that a coffee roasted and brewed ten months after harvest is going to be less dynamic and flavorful than a coffee roasted and brewed three months after harvest. This harvest generally only happens once per year, so we try to offer coffees that still have vibrant flavors to keep your coffee experience engaging and dynamic. That’s not to say we won’t keep some coffees around all year; no matter how fresh they seem, some are like old friends who are special and comfortable. For many of our coffees, we want to present them as best they can be, which means we keep them around until it’s time to bring on another fresh coffee to share. Like other crops, some years are better than others, which means coffees from the same producer or farm might taste different from year to year, and that’s all part of the experience! We love partnering with our importers and groups at origin to see how coffee changes from year to year. The Kunjin from Papua New Guinea and the Mwalyego from Tanzania are both great examples of how quality can increase over time, and our continued support of these organizations gives them the chance to invest even more in quality. If you’re wondering how you’re supposed to navigate all of this in terms of your coffee-buying experience, there is good news, so long as you’ve got a knack for geography or a handy atlas. Generally speaking, coffee grown north of the Equator grows in the winter and exports in the spring, which gets fresh coffees from these regions to us in the late spring/early summer. Coffee grown south of the equator generally grows in the summer and exports in the fall, landing stateside in late fall/early winter. 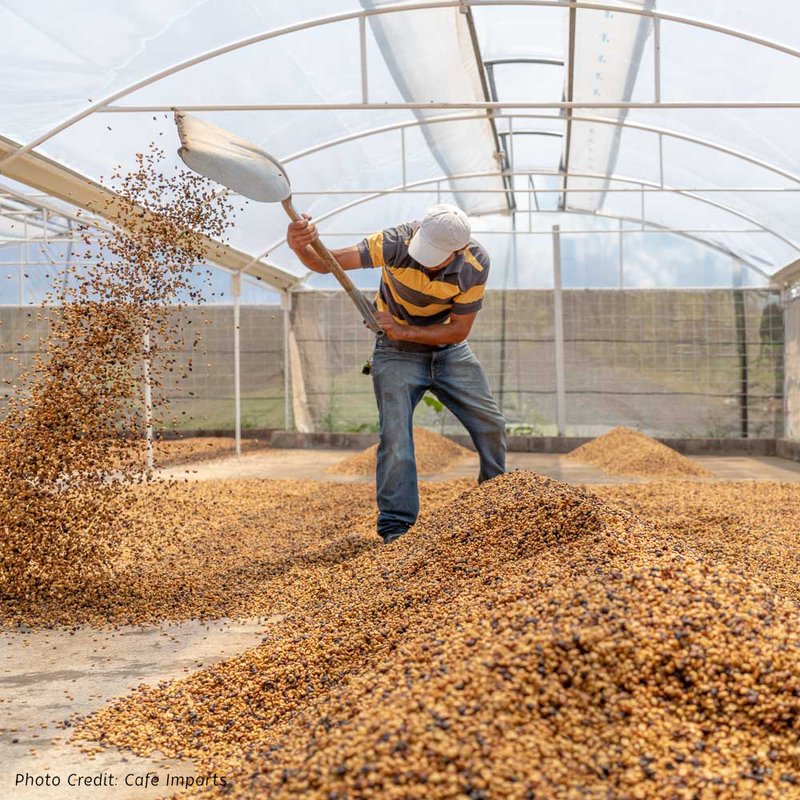 There are some places close to the equator that can end up having two annual harvests (Colombia being chief among them), but erratic weather patterns have been making these harvests unpredictable. For most exporting countries, there are a number of factors at play that dictate when a coffee will get to your local roaster: shipping delays, infrastructure disruptions, civil unrest, climate events like hurricanes or droughts, and labor shortages can all impact the journey of a particular coffee. All that to say, there are a lot of things that can keep a coffee from getting to you in a timely manner, but it usually works out in the end, with coffees coming to us in a way that allows us to present them with excitement and integrity. For additional information on coffee seasonality as well as a helpful tool on geographical harvest, please view this great resource created by Counter Culture Coffee. So, the next time your local shop is out of your favorite coffee, there’s a good reason for it. Maybe this idea will come back to you next time you’re wondering why your produce is better than you were expecting, or maybe it will help open up the mysterious journey of anything you buy. We at Commonplace Coffee are always looking to share the journey of our coffees, and we are honored to have you participate in that story.